This entry was posted in Blog, Motivation, Sales Tips and tagged customers, passion, positivity, power, principles, product, sales tools, tips, training on May 26, 2014 by Dawn Roberts. 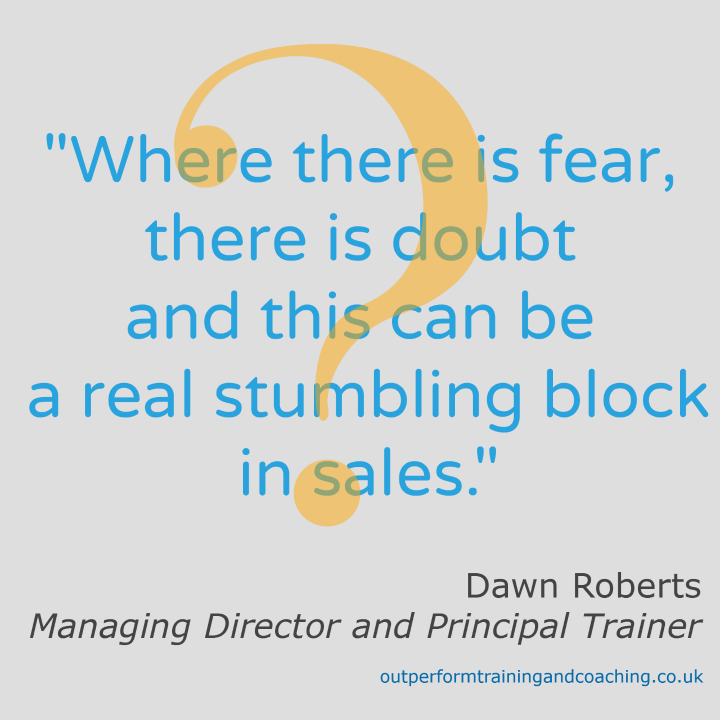 There is an element of fear in every sale for the buyer. You know what it is like; remember when you booked a holiday or bought a new laptop? Is this exactly what I need and want? Can I get it cheaper or better somewhere else? Have I paid more than other people? At some point we have all paid too much or bought the wrong thing. It is this memory that makes us apprehensive every time we buy. If we notice these little niggling doubts in ourselves, we can better understand the fear all buyers have. 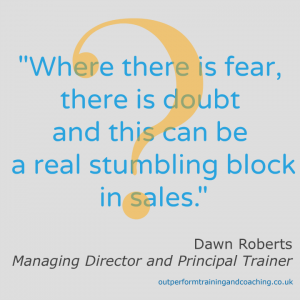 This entry was posted in Blog, Motivation, Sales Tips and tagged buyers, Courses, Fear, Hints, Manchester, marketing, North Wales, Outperform, Sales, tips, training on January 22, 2014 by Dawn Roberts. Do I look and act like my product? This entry was posted in Business, Motivation, Sales, Sales Tips and tagged customers on January 25, 2013 by Dawn Roberts. With the Olympics around the corner it’s a good time to think about the others in the race for the buyer’s custom: Our competitors. A competitor is not just someone providing the same service as you – it could be something else that the buyer could spend their money on. This entry was posted in Business, Motivation, Sales, Sales Tips and tagged customers on December 18, 2012 by Dawn Roberts. Who has all the Power? Today’s buyer is far more discerning and asks more sophisticated questions than ever. The market is tougher and more competitive than ever … and that’s great! If you have a great product or service, can master getting your message out there and can overcome the buyer’s fear, you will sell. This entry was posted in Business, Motivation, Sales, Sales Tips and tagged All, customers, Has, Outperform, power, Services, The, Who on November 9, 2012 by Dawn Roberts. This entry was posted in Blog, Events, Motivation, Out & About and tagged creative, GROW 2012, inspiration, poetry on July 3, 2012 by Elli Farrell. Just come from #grow2012 a fantastic event put on by @OutperformBites. Loved it all and can’t wait to put what I’ve learnt into practice! Has had a great time @OutperformBites #GROW2012 event gained lots of hints and tips and new direction for my business. Well worth it. @OutperformBites #GROW2012 Fantastic event, great insight to principles for business growth. This entry was posted in Blog, Business, Courses, Events, Motivation and tagged GROW 2012 on June 8, 2012 by Elli Farrell.